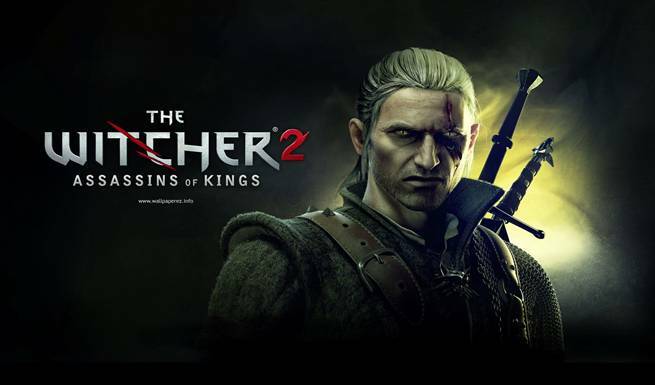 Witcher 2 has gotten some praise reviews with its release on the PC and CD Projekt is planning to release the game on the Xbox 360. During the short preview I had of The Witcher 2 demoed on the Xbox 360, so far the game looks good and the developers really wanted to emphasize the fact that they are not trying to make a simple port of the game. It was certainly made clear that they are trying to handle not just the graphical elements and that they are working really, really hard, with a team of around one hundred people at CD Projekt. The dedication that the team had shown at the demo was impressive and really made an impression on me on how much they really do care about their fans, wanting to to best job they can to make the game as enjoyable on the Xbox 360 as it was on the PC. With it still in a pre-alpha stage, it looked good regardless, with a release date towards the end of 2011. They made it very clear that they hell bent on getting this game out on the Xbox 360, looking the best it could without denying that they would never do a Playstation 3 version. The game will have a targeting system of course and the developers also mentioned that will not miss out if you have not played the first game or read the books if you Witcher 2. Witcher 2 also is the first game to use the new RED Engine making it a loading free game. As far as an expansion for both versions of the game, the developers were keen on hinting at a strong possibility of the game getting more content, but did not commit to a solid yes. If it does come though, they mentioned that they will want any DLC to free for both the console and PC version. Afterwards we had a short group Q&A session with the developers. Q: Will the Xbox 360 version of the game be the same as the PC version as far as the content goes? A: The content and story will be the same, with their be tweaks made to the controls to tend to the console version. Q: Now that you have brought Witcher 2 to the consoles, do you think a game like that could ever support multiplayer? A: We would love to do something like that, but there is the obvious problem of the setting as well as the single player technology so there are currently no plans for multiplayer in the game right now. Q: Do you think gamers will ever have the opportunity to play the first game on consoles? A: As much as we would love to do that and would be willing to if the circumstances were right, there are no plans for that right now. Q: Do you think console market will receive the game as well as the PC market did? A: We can only hope so and we will work even harder for this project to make sure that happens. We also think that we are not necessarily doing an old school type of an RPG, but we do believe there is an audience for this type of game. Q: Will the games achievements stay the same (Steam to Xbox 360)? A: There is Steam Achievements and some of them will definitely be there, but I am quite certain we’ll of something new.